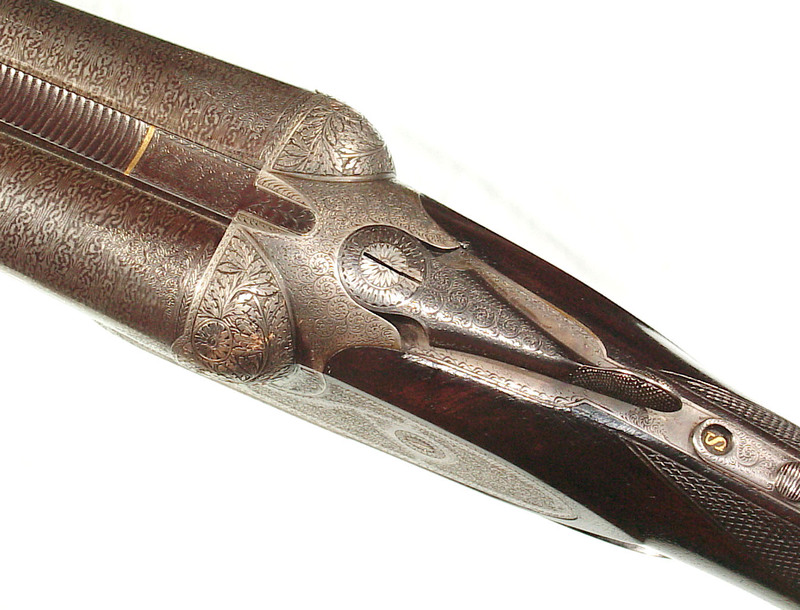 12 gauge, 26″ damascus steel barrels, auto ejecgtors, beautiful scroll engraved sideplates and relief engraved fences. 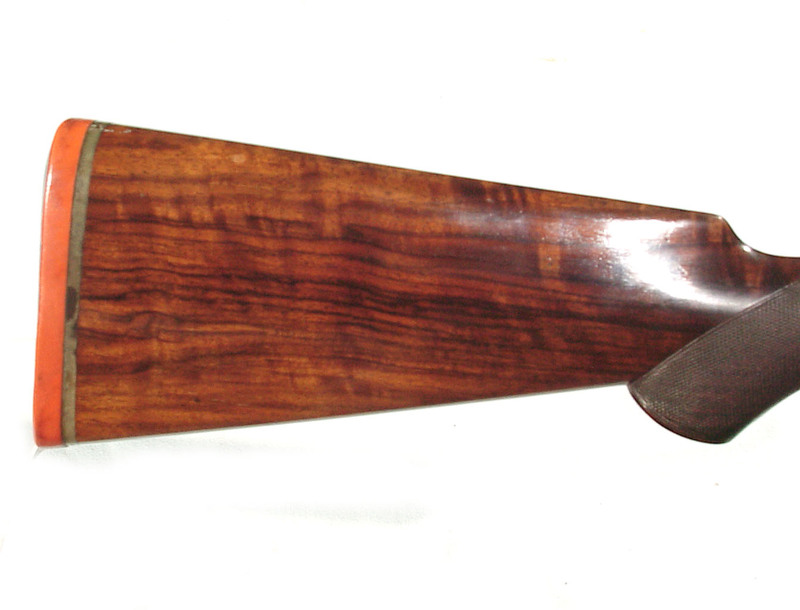 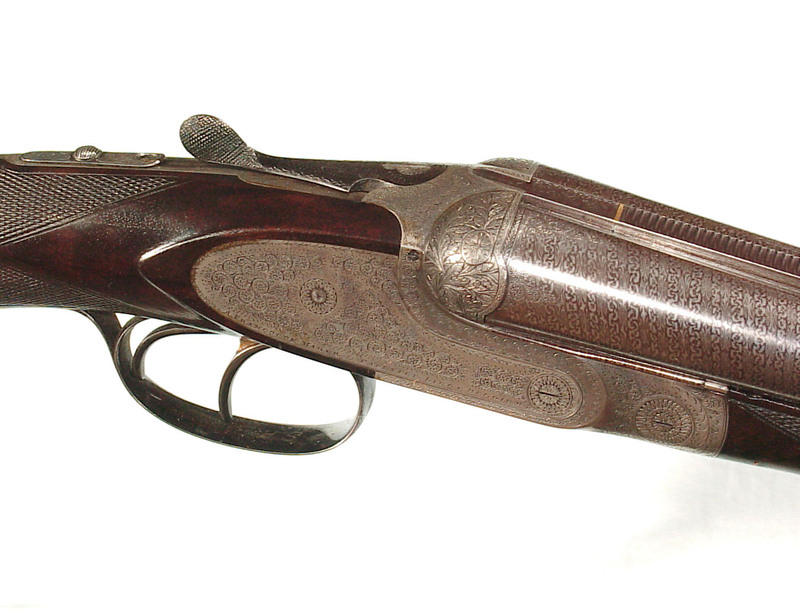 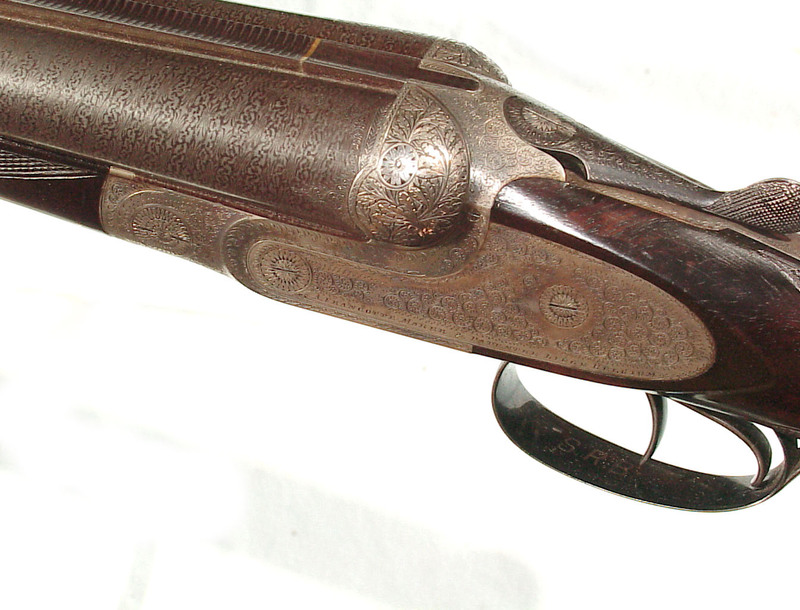 Double triggers, top lever, double underlocking lugs with Greener type third bite. 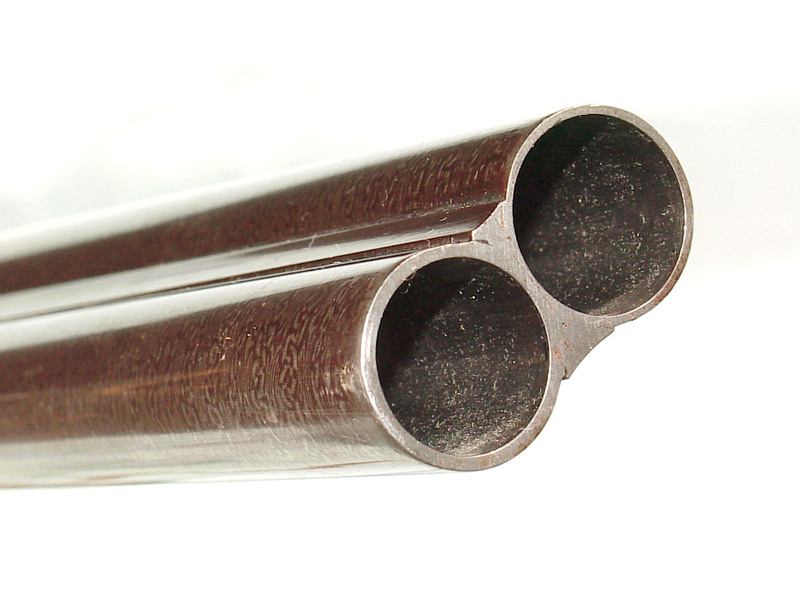 Bores measure .729″ both barrels with walls over .030″ Chokes: R: .003″ L: .033″ Weight: 6lbs 7oz. 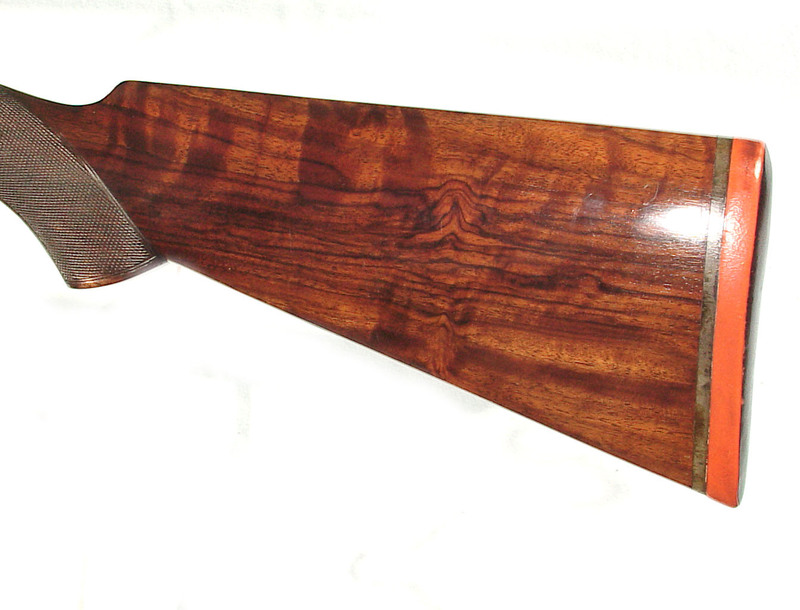 Stock measures Comb: 1 1/2″ Heel: 2″ LOP: 14 1/2″ over a thin English hardrubber pad. 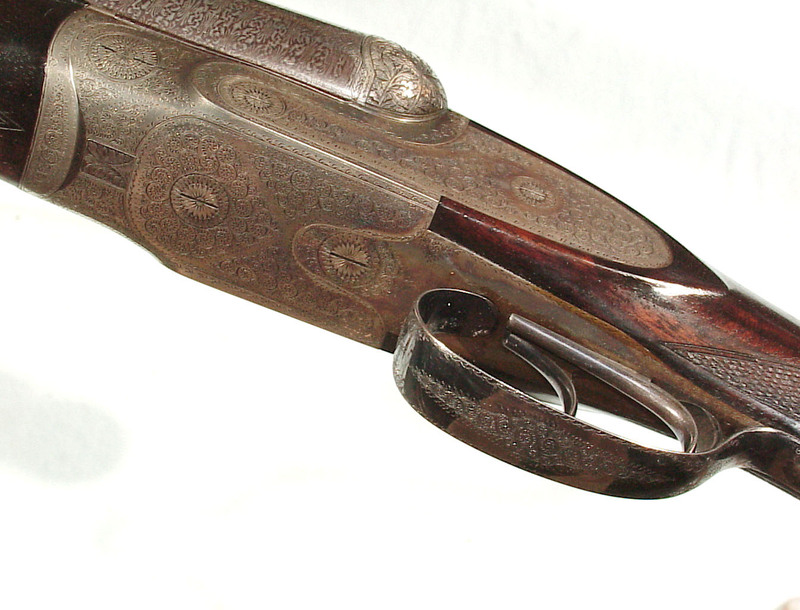 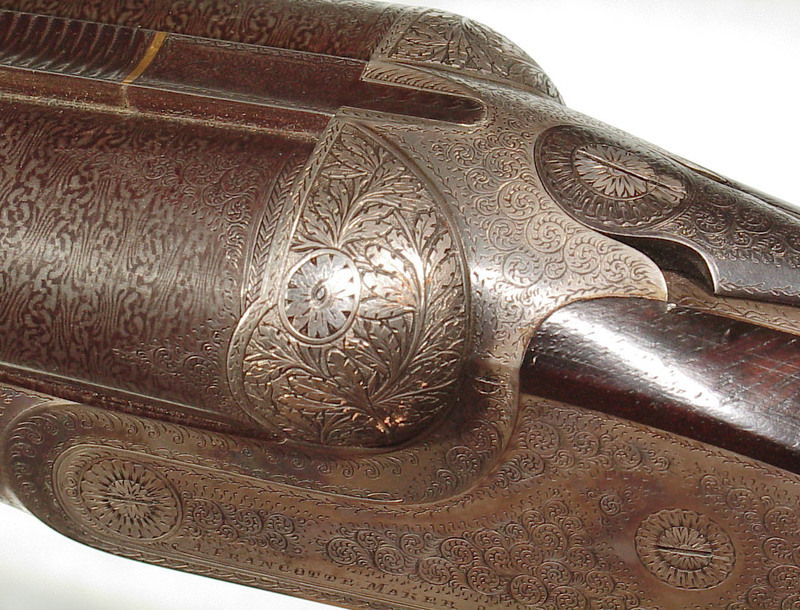 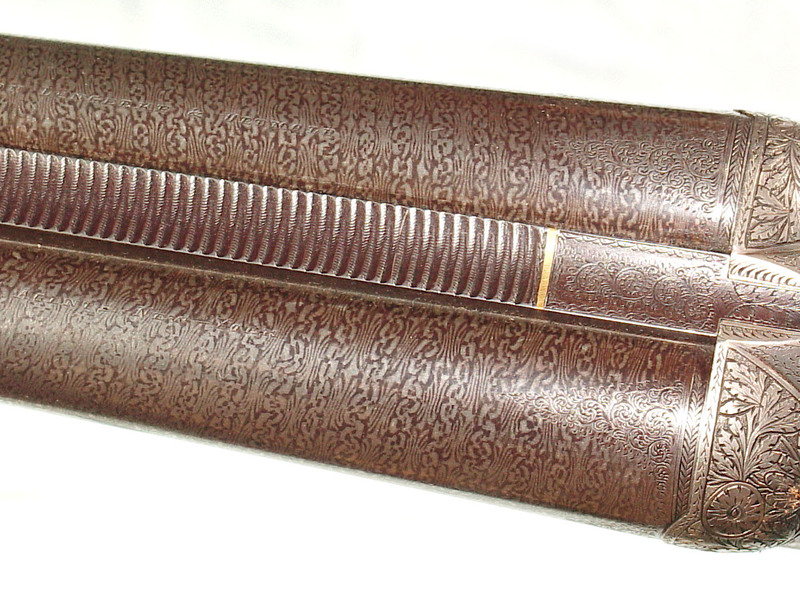 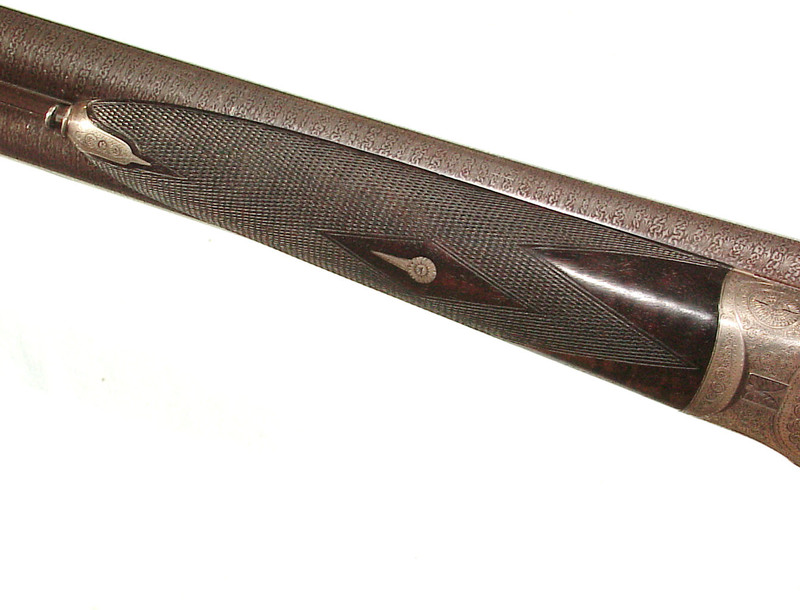 The barrels retain all of the beautiful damascus pattern, The action showing lovely subdued case colors. 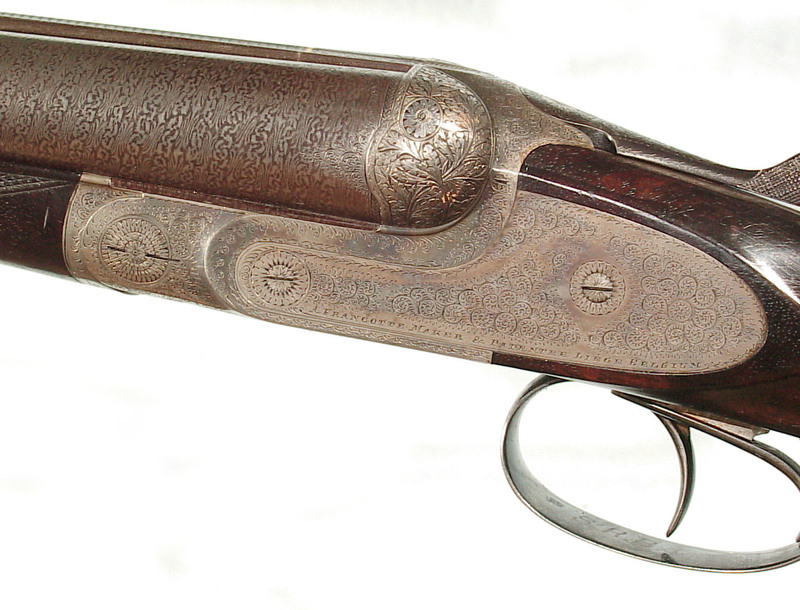 Mint bores, excellent checkering and varnish. 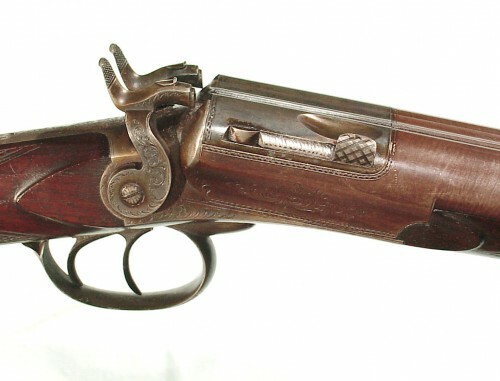 This would make a perfect bird gun.